Some people fall into the habit of chewing their nails as children, and some people find they've started doing this when they've been under a lot of strain and stress. It's comforting and soothing to do - but not nice, and not kind to hands. But it's not always easy to stop. The Stop Nail Biting Hypnosis Script from The Script Collection was developed to provide an effective way for people to help themselves break out of this habit and recover the healthy hands and fingernails they're entitled to. The pretalk describes the effects that constant nail-biting can have and explains why conscious techniques and willpower are not always enough to get rid of the problem. Hypnosis is a much more effective way to address the issue, as it works at the unconscious level, which is where the problem arose in the first place. A gently relaxing induction uses carefully crafted embedded suggestions to lead the client into a highly focused learning state where they can make very profound changes at the unconscious level. When the client is deeply relaxed and fully detached from everyday concerns, the specific patterns that make up their personal nail biting behavior are elicited and contemplated. The client is then guided through a process that completely changes the inward experience of this oh so familiar behavior and renders it strange and uncomfortable, to the point of repulsion. The client learns how to interrupt the pattern before it can even get started, and how to initiate a completely different emotional response in themselves whenever they are in a situation where this pattern used to run automatically. Future orientation enables the client to experience what life will be like when this change has been in place for a long time - when it has become the natural and normal thing to do, requiring no thought or effort. This script will ensure that the new patterns become ever more fully integrated and embedded. Add the Stop Nail Biting Hypnosis Script to your script library today! Stop Nail Biting is also available as an MP3 download. 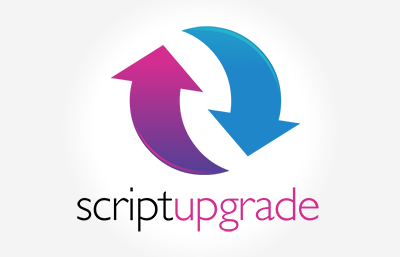 Stop Nail Biting Script has been purchased by 679 customers.